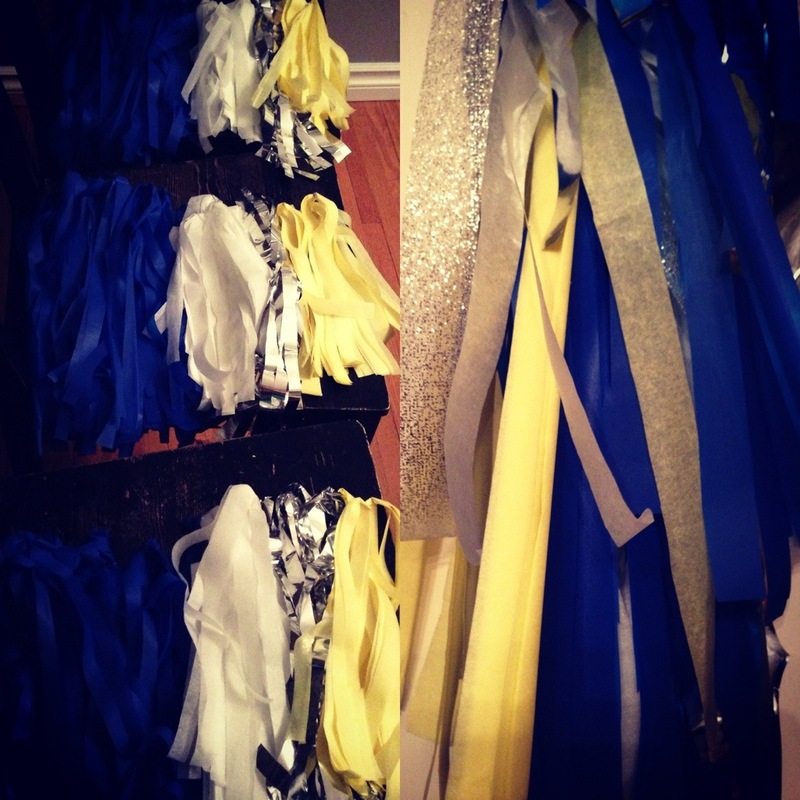 The Real Deal | BALLOONATIC & CO.
Somebody's got to spread the #balloonlove. The moment when you make your first actual sale….indescribable. 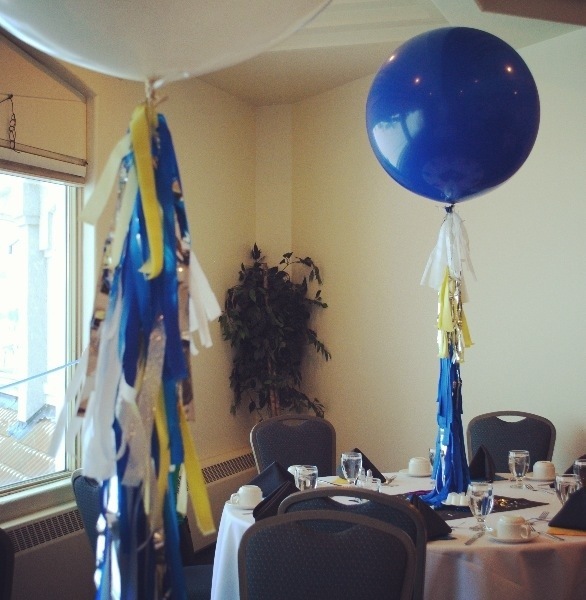 Someone actually thought my creations were worthy enough to float above the tables at a very special 60th Anniversary celebration. I jumped right away at this chance and dove head first into the job. 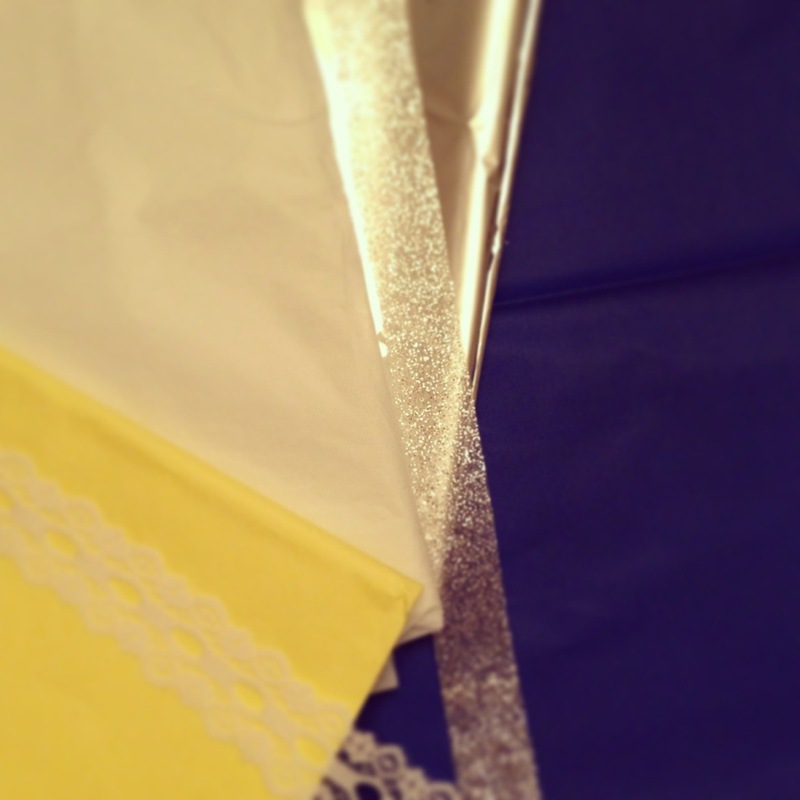 I immediately started quizzing my client (who happened to be the Granddaughter that was spearheading the planning) what the guest of honors’ wedding colors were, anything special that could be incorporated and any other hints that would help me develop the initial colors and materials. The actual wedding day of Josephine & Lorne was very modest and the bride chose the non-traditional route of wearing a navy blue women’s dress suit. Any ideas I had before knowing this were instantly wiped out, instead I was now on a new color train, sparked by the blue in Jo’s wedding day wardrobe, and the blue and cream decor of the Wedgewood Room at The Willows. Later on, that very same day I received a heartwarming video from Jo (as most people know her by) stating that her favorite colors are blue and yellow. That left me with an obvious and fitting accent choice of silver Mylar and sparkly silver ribbon to play into the “diamond” anniversary year and a small touch of white lace just to add a little hint of wedding to the pieces. My original plan, since there were four of them, was to have all four tails topped with white balloons. That didn’t exactly go the way I wanted it to! That day before the party, I brought home four, giant white balloons, filled to the brim with helium. 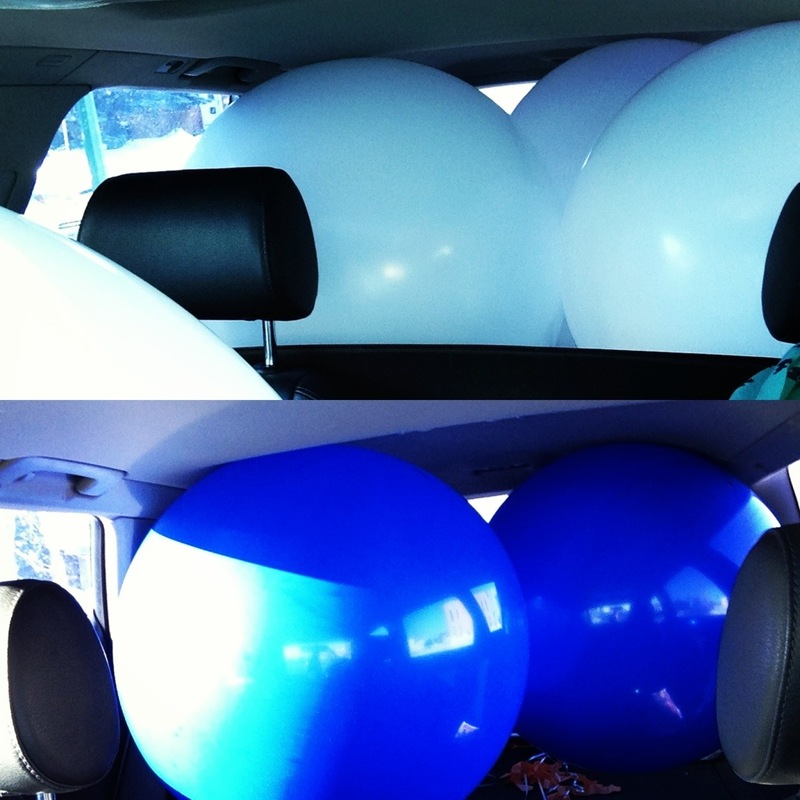 I took them down to my “balloon room” for overnight storage and instantly one popped. It was the loudest balloon pop I’ve ever witnessed. And it popped my plan, bigtime! You might be wondering why? Well I knew I had just bought the party store out of their supply of white balloons. Time for plan b. I called my client and ran the plan by her. 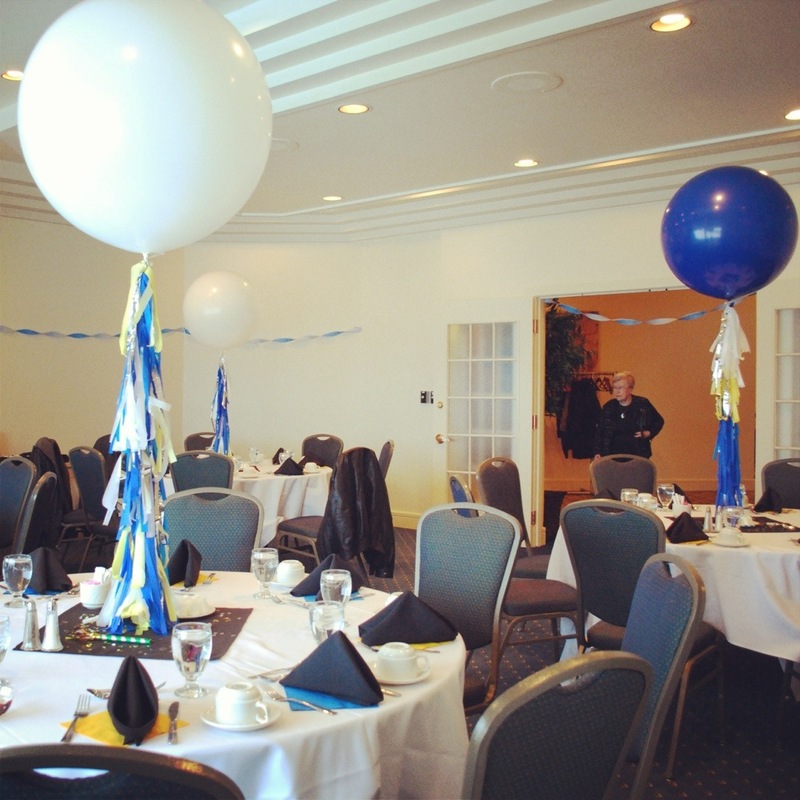 Two blue balloons and two white ones. With an extra white one on hand just in case of another popping incident! She loved it, especially when I sent her this…. I had arrived at the party store shortly after just leaving there, and they graciously filled both giant blue balloons with helium, free of charge! What a relief! Helium isn’t cheap…but I’ll dig into that topic another day. That night, I finished up the tail assembly and had everything ready to go. It felt amazing to only have one small little snag in the process, and be pleased with the product I was to deliver the next day. The next morning, I loaded five balloons into my wagon, four tails, and a bag of “just in case” supplies. I headed out to The Willows with excitement in my veins and hope that everyone would be pleased with what I had tediously prepared. Arriving at the front door, I was greeted with shrieks and jumps of joy! Nothing better than that! 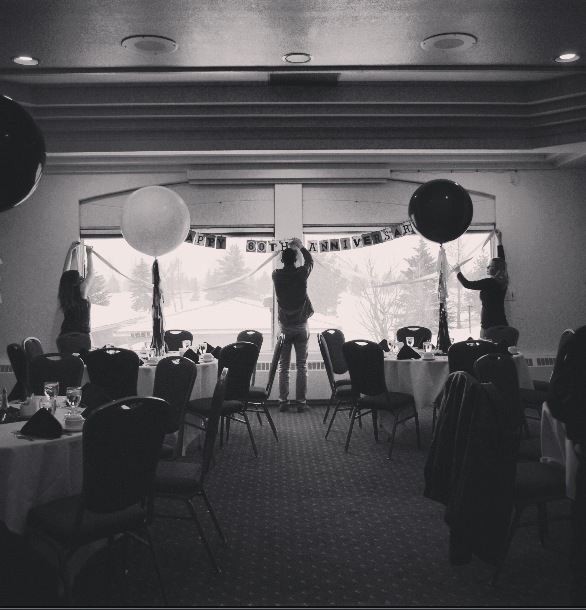 I placed and weighted the balloons and sure enough…no camera on me! Something I never even leave my bedroom without, was sitting at home, in my bedroom! I snagged a camera from a staff member and was so relieved to have captured the moment.